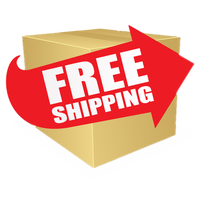 Free Shipping On All In Stock Valentine's Day Inflatables! New for Valentines Day 2019....4 Foot Brown Puppy Dog Holding Large Heart that says a big "I love You" This lovable looking puppy dog is great way to say I Love This Valentines Day. At 4 feet tall, it can be displayed both indoors or outdoors. New huge 12 foot wide Valentines Inflatable. Wow...what a way to show how large your love is...7 uniquely shaped hearts all with a different Valentine Messages. One of a kind inflatable with bright multi-color hearts! Tis the season to show your love...grab this one today. Show some love and a big heart to your someone special this Valentine Season with our Lovable Dalmatian Puppy Valentine Inflatable. This big 7 foot bundle of love is holding a big heart saying Puppy Love for that someone special. Or let this Cuddly Valentine Dalmatian Puppy Inflatable fill your yard this Valentine's Season with a whole lot of love to share! Great decoration also for all your Valentine parties! Grab one of our Large Valentine Dalmatian Puppies with A Big Heart Inflatable quickly as Valentines Day is almost here! Fun and adorable new Valentines Day Inflatable to decorate your yard or party venue. Looks like this T-Rex got some Valentines Love, and he has a big heart wishing your special someone that "You're Sweet! The big adorable hunk stands 7 feet tall. Great way to greet all your Valentine's Day guests. New very adorable and cute Valentine Frog Holding Heart Valentine Airblown. This cute frog holding a heart with the greeting "Be My Valentine" will definitely catch the attention of that someone special. This Frog Valentine's Day Inflatable stands 4 feet tall. Lights up and inflates easily. New Air Character's Design for Valentines Day 2019....Five Foot Heart With Special Message Valentine Inflatable. Very adorable and cute Valentine's Day Heart Character inscribed With the message "I Love You This Much" in the palms of his hands. The Heart Inflatable will warm hearts this Valentine Season. Special way to say I Love You! Surprise that special someone with this new Valentines Day Romantic Dragon Inflatable. 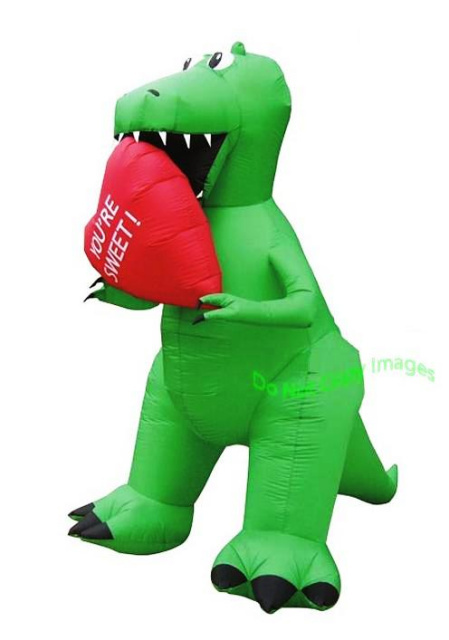 This Valentines Inflatable features our friendly 7 foot dragon holding a large red heart. So supersize your Valentines Season celebrations of love with this adorable large dragon airblown inflatable. Happy Valentines Day! Say I love you with this large Valentines Heart Airblown Inflatable. This large heart is surrounded by smaller hearts that say I'm Yours and Be Mine in front. The big heart wishes Happy Valentines Day. This Air Characters Valentine's Day Inflatable stands six feet tall and five feet wide. New Valentine's Day Inflatable for 2019....6 Foot Frog Holding Heart Valentines Day Inflatable. This romantic adorable 6 foot frog inflatable features a large Valentine Heart greeting that special someone with the words "Happy Valentines Day". Will definitely be the talk of the neighborhood this Valentine's Season. For Indoor our outdoor use. New Valentine's Bear Inflatable. Let this Cute and adorable Valentine's Bear Inflatable brighten up this Valentine's Day 2019! Our Adorable Bear is holding a large heart that says Happy Valentines Day! Lots of ahhs with this heart warming Valentine's Day Inflatable. This Valentine's Bear stands 5 feet tall. Three Hearts on a Cloud Valentine Inflatable. Say Happy Valentines Day this February 14, 2019 with this colorful 3 hearts on a cloud Valentines Inflatable. Show that someone special that you are thinking about them. Will create some wonderful memories. Can be used indoor or outdoors.